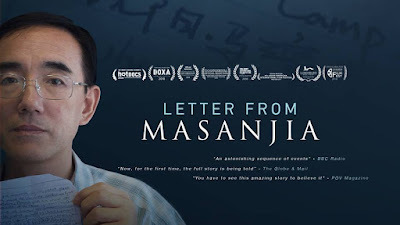 Coming off of a wildly successful festival run and excellent enthusiastic early critical reviews – Leon Lee’s “Letter From Masanjia” has been hailed by audiences and critics alike as one of the best docs of 2018, taking home Audience Award for Documentary Feature at the 2018 Asian American International Film Festival and it was nominated as a top 20 audience favorite at this year’s Hot Docs Film Festival. A devastating tale of human rights violations in current day China with corporate giants across the globe receiving prisoner labor efforts for Halloween decorations, asking no questions in a price for pennies on the dollar. This is the tale of one political prisoners desperate plea to alert the world to horrors most of society sweeps under the carpet. Parade Deck Films will open “Letter From Masanjia” theatrically in New York and Los Angeles beginning on September 14 and will expand into additional markets in the following weeks. 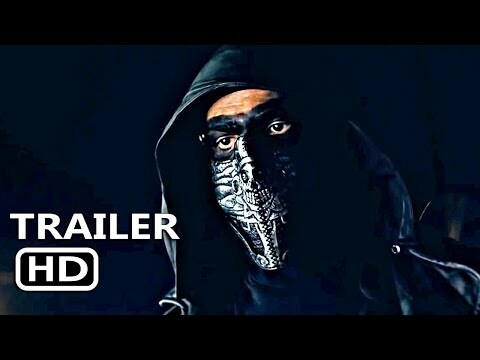 Later this year Gravitas Ventures, a Red Arrow Studios company, will bring the film to audiences across North America on VOD/Digital platforms on December 4. “I’m thrilled to be partnering with Parade Deck and Gravitas Ventures on the release,” Lee said. “Letter from Masanjia reveals how our everyday purchases here in America are, sadly, often intertwined with human rights abuses in China and I am honored to bring this crucial story to a wide audience with such a great team." Written and directed by internationally acclaimed filmmaker and Peabody Award winner, Leon Lee, this astonishing and riveting documentary follows the true story of an Oregon woman who finds a desperate SOS letter penned by a political prisoner in her Halloween decorations and the nail-biting chain of events that it sparks when she takes the letter public, exposing appalling flagrant human rights violations - that leads to sweeping labor reform in China. The impact of what those two unlikely heroes have accomplished is even more profound in today’s rapidly boiling over political climate, not just in China but around the rest of the world. The theatrical release deal with Parade Deck Films was brokered by Flying Cloud Productions’ Leon Lee, and Parade Decks CEO, Michael Ingram. The VOD/Digital release deal with Gravitas Ventures was brokered by Tony Piantedosi. Cat & Docs will be handling international distribution. Parade Deck Films is a film sales and distribution company based out of Portland, Oregon, driven by a passion and love for films. Our focus is to distribute independent films of all genres among all digital platforms and physical formats to new and wide audiences around the world, while giving back to the community and supporters of independent filmmaking. We strive to provide easy access to the best of independent film for fans, a great partnership for artists, and an unparalleled outlet for those most passionate about film as a whole.